Manipulating web typography is a daunting task but jQuery plugin makes the whole process a lot simpler. 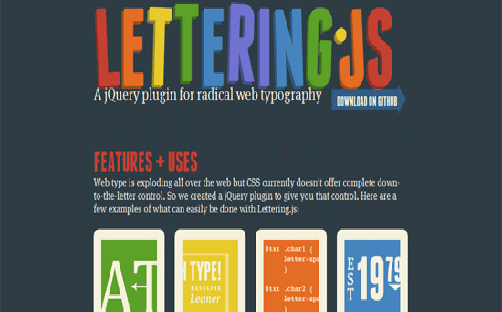 It comes with helpful features that allow you to manipulate your web typeface easily. 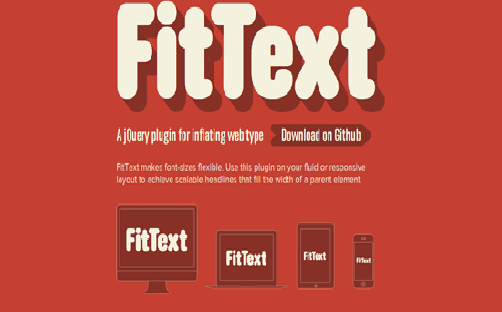 FitText allows you to automatically scale your typefaces depending on the browser’s viewport size. This plugin will help you on your fluid or responsive web designs. This typography allows many designers to create a set of dynamic and stunning fonts that are quite impossible to make using other methods. 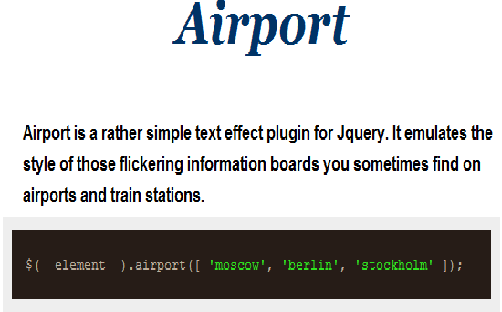 This is a stunning text effect plugin with jQuery, which imitates the styles of those flickering schedules or information boards that you sometimes find on airports and train stations. 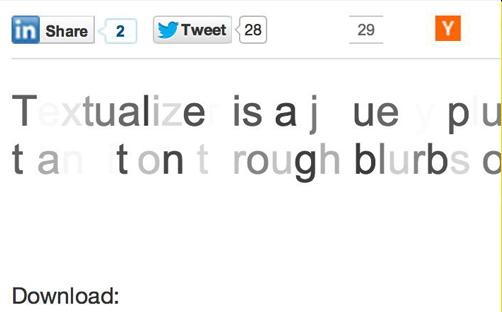 TypeButter is an awesome jquery plugin for optical kerning for the web. It will try and detect the font your browser is using on any given element and if it finds a TypeButter library, which includes its weight and style, then optical kerning will be set. 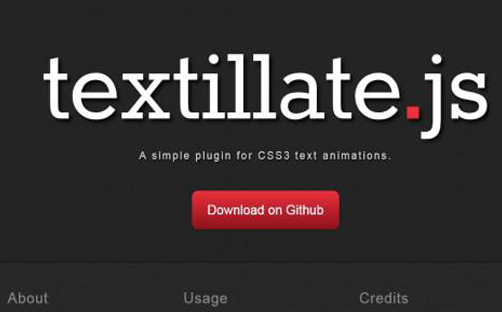 Texttillate.js is a simple jQuery plugin that combines awesome libraries that allows you to animate some text. You can get a working prototype with code snippets right there and then. 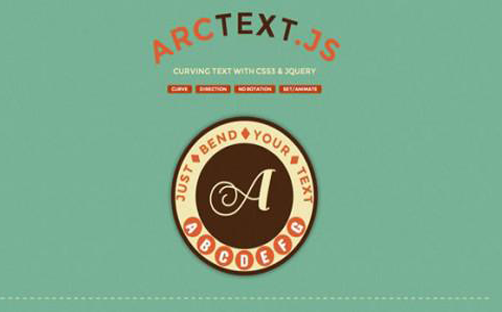 Arctext is a jQuery plugin that allows you to display curved text while arranging the letters of a word or block of text along a curved path without breaking the whole arch. Based of Lettering.js, it calculates the right rotation of each letter and distributes the letters equally across the imaginary arc of the given radius. 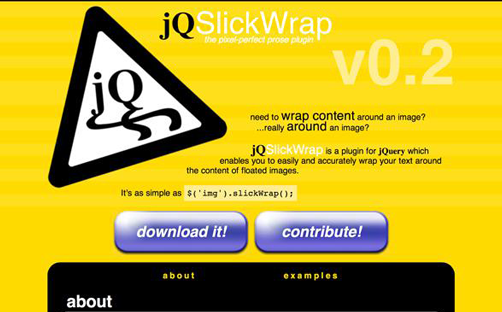 jQSlickWrap is a plugin that allows you to easily and accurately wrap your text around the content of floated images. This plugin makes it easy for you to transition through blurbs of text, animating each character. Its stunning effects will surely grab your attention. 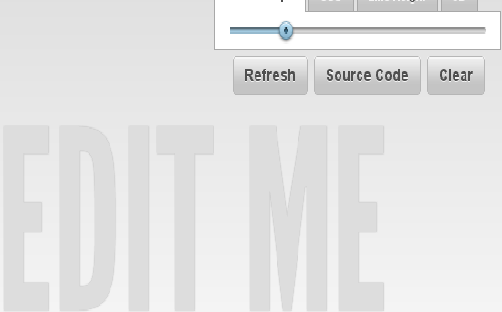 This simple jQuery plugin automatically sizes your text to fit inside the parent element. Primarily, it calculates the font-size and word-spacing needed to match a line of text to a specific width. 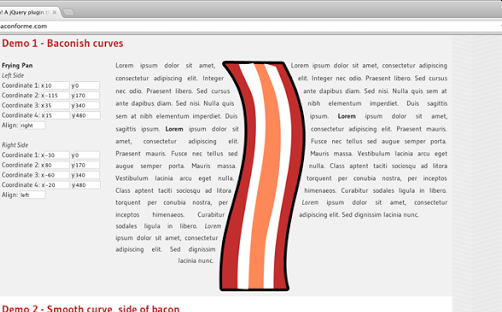 This is a jQuery plugin that allows you to wrap text around a curve or a line. 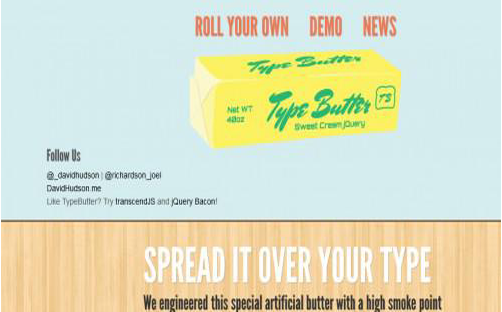 HTML or CSS text simply flows in square blocks but with bacon, you can easily manipulate the text around an image in a clean sytle.